Before the Ayurvedic treatments I focus the energy to evoke and awake the healing energy already present in all of us, by chanting a short sanskrit prayer and burning an aromathic incense. The massage starts with a short head massage with small quantity of herbal oil for the head to nurish and calm the mind and continue then with the full body massage with warm sesame oil where my hand flow like dancing on the body with soft or more pressure according to the person needs. After the massage I leave the person relaxing with a bend on the eyes for 5 min. After the massage it is suggested to take an hot shower, so that the heat and the steam will take out all the toxines we removed from the body. After the massage I usually offer a hot herbal tea and it is suggested to drink more after the treatment to let go all the toxine from the body. Always interested in human beings at both level physical and emotional and with a lot of interest in natural holistic medicines, treatments, food for the well-being. Practice of Yoga and dance. 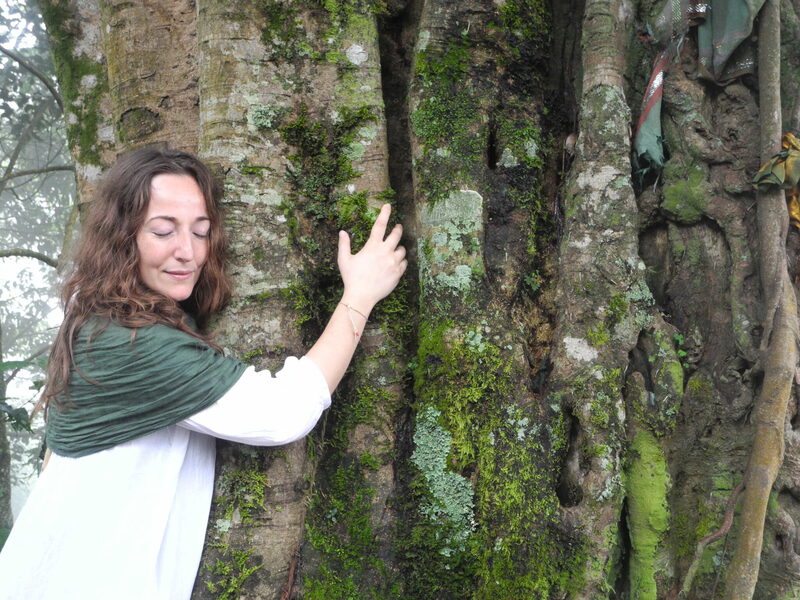 She has achieved the diploma to the Ayurvedic International Academy in Florence (Italy) after a great Ayurvedic experience directly in Kerala both in an Ayurvedic Clinic (Nagarjuna) and to an Ayurvedic Doctor (Vaidya). ayurvedic massage also as complementary step to the practice. Āyurveda for her is not only a discipline but a way of living.